A delegation of CBF staff and leaders gathered last week in Durban, South Africa for the World Congress of the Baptist World Alliance. The following press release comes from CBF partner Baptist World Alliance. Durban, South Africa (BWA) — Luiz Soares Silvado, former president of the Brazilian Baptist Convention and newly installed vice president of the Baptist World Alliance (BWA), encouraged a gathering of Baptists in South Africa to make a determined commitment to discipleship. 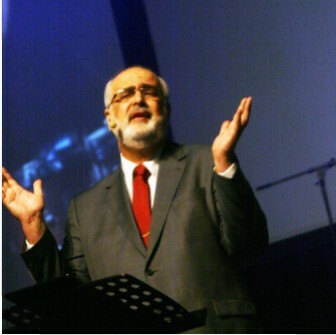 Speaking during the 21st Baptist World Congress in Durban on Saturday, July 25, Silvado argued that discipleship is at the core of the Christian experience. One should, however, be clear as to what discipleship is and what it means. The Brazilian Baptist made a distinction between discipleship that is simply the passing on of information and discipleship that results in formation. “We must not only hear about Jesus, but be formed into/by His character,” he told the roughly 2,500 Baptist Christians gathered in the coastal city. He cautioned against “mindless Christianity,” one based solely or primarily on ritual, social activism or experience. This formation must pay particular attention to the preparation of young and future leaders, “because there are risks in allowing new leaders and younger generations to take strategic positions.” There is the need for “continuous discipleship that enables the formation of Christian character in order to develop spiritual consciousness,” he told the group of Baptists from more than 80 countries. At the same time, Baptists must trust God to “empower new generation” of leaders. Recalling the words of Joao Soren of Brazil, who was BWA president in the 1960s, Silvado asserted that mindless discipleship includes prayers he described as “slothful prayer, empty prayer, vain prayer.” Discipleship involves doing, acting. “We ask God to save sinners but we are not available to take the message of salvation to them. We ask God for resources for His work, for the expansion of His Kingdom and we close our wallets,” said Soren, through an audio recording played to the gathering. Each Christian is called to serve, Silvado insisted. “Each one has the task of taking the Gospel message.” God, Silvado said, “uses the testimony of witnesses, messengers, preachers, missionaries,” and all Christian believers. Video of the plenary worship service may be viewed on the BWA website at www.bwanet.org. The Baptist World Alliance, founded in 1905, is a fellowship of 232 conventions and unions in 121 countries and territories comprising 40 million members in 177,000 churches. Its priorities are nurturing the passion for mission and evangelism; promoting worship, fellowship and unity; responding to people in need; defending human rights and justice; and advancing relevant theological reflection.